Class is (almost) in session! We all know that the best part of going back to school is shopping for cool new stuff for the first day. Which is why this is the perfect time to run a back-to-school sale for your Shop. According to Retail Dive, back-to-school sales are the second largest annual sale event of the year, which means it’s something you don’t want to miss out on. But how do you run a great sale for college kids decking out their dorms and parents shopping for their little ones’ first day? Get something to take notes with: we’ve got some tips on how to promote your products for a back-to-school sale. 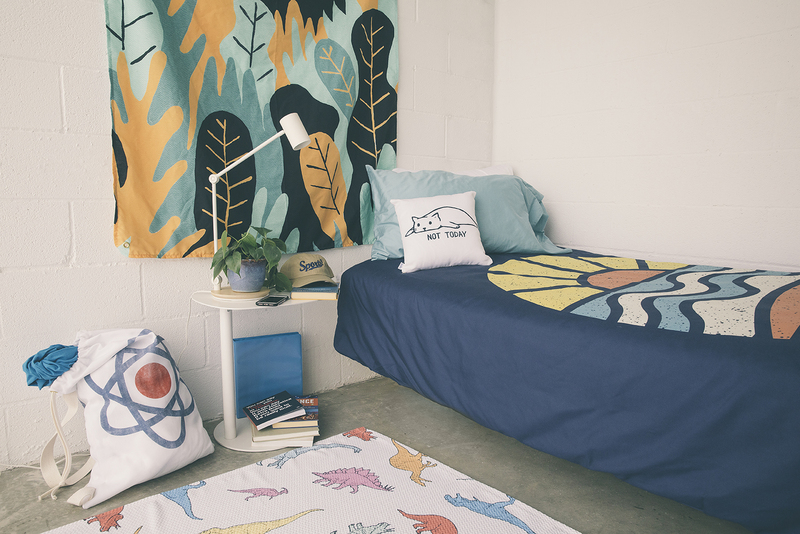 This is a great time to promote your home decor for students going off to college and looking to deck out their dorm room. Back-to-school (let’s call it BTS) sales have a few different audiences involved that are all looking for the same thing*: parents, college kids, and deal-hunters. And in your social posts, you should find a way to appeal to each of them. Parents are no doubt on the hunt for new school supplies and “first-day” outfits for their little ones. They’re also, however, jumping for joy that the summer is over and they’ll get a little breathing time during their day again. In your messaging, it pays to target both types of parents: those looking to snag their child’s BTS outfit and those looking to get comfy with a new sherpa blanket, pillow, and just to treat themselves. Deck that dorm! BTS season is when college and pre-college kids are looking for cool stuff to deck out their dorm with. Now is a great time to really push your home decor items! Non-students and non-parents can benefit from back-to-school sales, too! Mention the fact that back-to-school season is for everyone in social posts, email preview texts, etc. *When it comes to Facebook ads or any posts where you can target specific demographics, ages, etc., then you can get specific with messaging. For example, if you’re targeting 18-24-year-olds for your Facebook ads, you’ll want to gear that message and those images towards college kids shopping for their dorm, not to parents shopping for their 3rd grader. If you haven’t added school- and fall-relevant products to your Artist Shop yet, now is the time! According to the Printful blog, clothing & accessory items are the second largest spending category for elementary- and college-age kids, second only to tech. Kids and parents alike will be looking for new accessories and “first-day” items to start the school year off right. Plus, with summer coming to an end, fall styles inevitably fall (no pun intended) into the back-to-school lineup as well. Lifestyle photos: make sure that your lifestyle photos reflect BTS vibes and feature items that are most relevant for parents and students shopping. Social media: share designs and products (and don’t forget to link to them!) that are relevant to the BTS. Be sure to appeal to both parents and college kids in your messaging as well. Homepage collection: update your homepage collection to reflect any lifestyle photos you’ve taken for your BTS sale and BTS-relevant products to tie into your sale vibes. Run a promo during OUR promo! 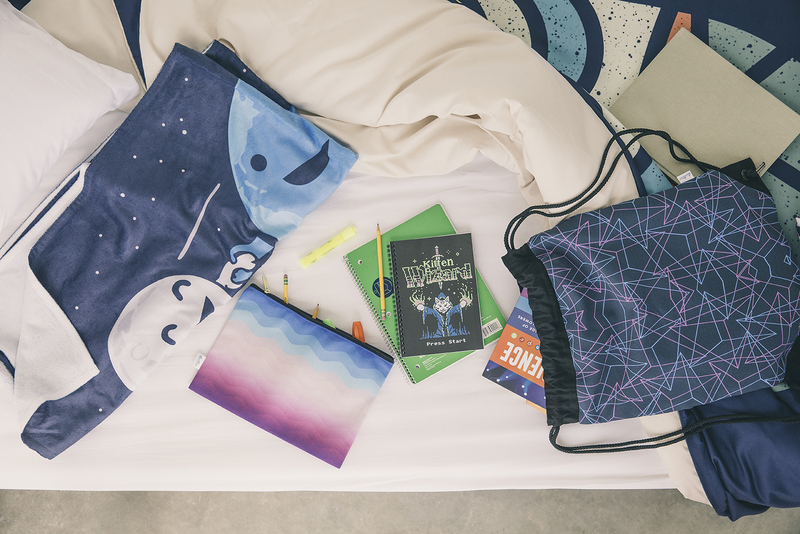 Run a back-to-school promo for your Artist Shop while Threadless is running a back-to-school promo! Customers will already be coming to our site looking for fun back-to-school items and deals. That means more eyes who will be able to find your items in Discover, and if you’re running a sale during ours, that can only help you score some earnings. Create a limited-time Collection just for back-to-school-relevant designs, or full of back-to-school-relevant products only. This curates products that BTS shoppers will be looking for all in one place, directing them straight to what they’re looking for. Post on social! Send an email announcement! Tell the world! Don’t keep your sale a secret. Plan out your social posts and emails and spread the word about your sale. But be sure that you’re linking to your Shop, back-to-school collection, to the product you’re tweeting about, etc. when you post. One of the biggest downfalls of promoting yourself on social is when you leave out the links that directly lead people to what they want to buy. One great way to get the word about your product out there is to reach out to influencers, bloggers, Instagrammers, etc. and to work with them. This way, you can tap into a large audience through a source they look to for guidance and who they trust. Micro Influencers: Working with someone with three million followers is great, but micro influencers are a great (and more approachable) source to tap into. Micro influencers, according to Media Kix, have between 1,000 and 100,000 followers. This means they have a dedicated following that turns to them for inspiration in a more directed way and may also be more tailored to a more specific audience that you want to tap into. Perhaps their following is obsessed with Boston Terriers and you have only Boston Terrier designs, for example. Check engagement: Let’s say you found an amazing account with 10,000 followers – great, right? But hold on – you look at their posts and they only get 100 or less likes for most of their images. A high following doesn’t necessarily mean a highly engaged (or even real) audience. Check to make sure who you’re reaching out to receives actual engagement. Class dismissed! Do you have any tips for running a back-to-school sale? Talk about it with us in the comments! Wow very nice ideas shared these looks to be quite effective way of promoting back to school sale , thanks for sharing definitively will work on this for better results. Knowing the audience for targeting is very important this has explained well and also gave some new ideas of doing it effectively , thanks for sharing. It is clear that if you want to sell something or offer services. First of all, you need to know the audience, to whom and where you will sell it and offer it. Someone does this manually, someone applies https://octopuscrm.io/. Whatever the point is, internet marketing has a very large assortment of tools to promote products and services. Next post New Feature Alert: Introducing Hi-5 on Discover!